DAR - Disk ARchive has 10 Years! The "sauv" software was started around February 2001 as a way to overcome some of tar limitations like its inability to split an archive over a set of CD-RW disks, at that time. It was renamed as "Disk Archive" (aka dar) in early 2002 to refer to Tape Archive (aka tar) his source of inspiration and venerable grand brother (well, the inspiration was mainly about missing features, because dar is a work from scratch: while tar is written in C, dar is written in C++ and while tar is function based, dar follows an object oriented programming). Finally after a few months of testing, dar was first released April the 2nd, 2002. 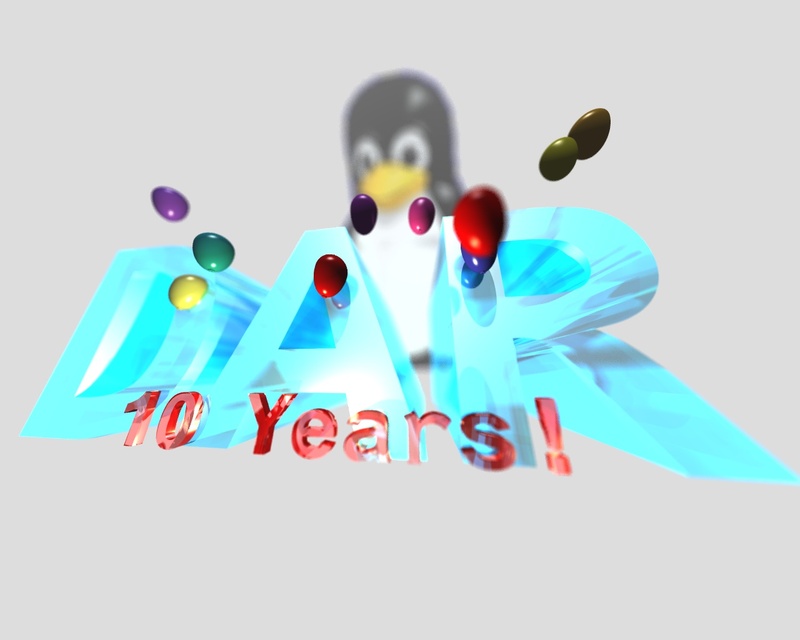 Dar logo has been made using the Povray raytracer, a large picture and an animation have been made for the ten years event.